Home buyers, sellers, and fellow real estate innovators: Wish you could attend the National Association of Realtors convention in Orlando this weekend but can't? Interested in participating virtually? I arrive Friday mid-afternoon and plan to spend all four days visiting 500+ vendors at the Realtor Expo to identify "best of breed" money saving opportunities for home buyers and sellers. Last July, I acted as the LIVE BLOGGER at Inman New's ConnectSF08 and am willing to provide private market research reports LIVE from the floor of the exhibit hall for a few select clients. Are there are any vendors or competitors on this interactive floor plan you'd like me to check out? Fees begin at just $25 – $50 per vendor you'd like me to investigate depending on the research question and how you'd like the results presented. That modest fee would cover 15 to 30 minutes, additional time is negotiable. As the housing market enters the final quarter of 2008, The Real Estate Cafe is contacting new and long-time clients to get an update on their home buying plans. Can you believe that one member of our 1,000 Click Club has viewed 6,247 MLS pages via The Real Estate Cafe’s MLS access system during the past 2.3 years? More than half of those page views (3,847 pages) have been since the start of 2008 and about a third (1,270) were during the 3rd quarter. If you're bargain hunting during the final quarter of 2008 and early 2009, can The Real Estate Cafe help you save money by serving you "a la carte"? 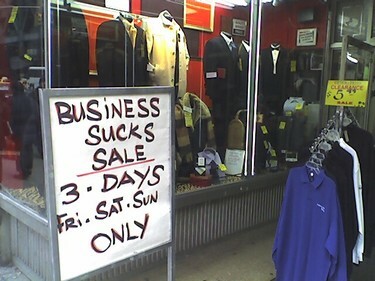 To encourage you to take advantage of falling prices during the current financial crisis, we’re willing to reduce our hourly consulting to just $50 for any work requested before close of business TODAY (offer extended through Wednesday, October 8, 2008 if payment made online by 5pm). That’s a savings of 50-67% off our current billing rate of $100-$150 per hour. So, if there is any work we can do to help you — for example, download & forward MLS listing data so you can analyze price trends — please let us know ASAP. At a minimum, would you like us to add expired listings to your daily email of MLS listings? An amazing, 1,136 single family listings expired across MA last week (9/27-10/3/08) alone; and surprisingly, 498 listings were priced UNDER $319K! In contrast, sales have fallen from a peak of 19,180 in 2006 to 12,335 in 2008 (as of 12:30am, August 1). That means that sales are down by about a third, while off-market listings have nearly doubled since 2005 when we first wrote that expired listings were a leading indicator of the real estate bubble. Over the past three years (2006-2008), more properties have been pulled off the MLS than sold during June & July. 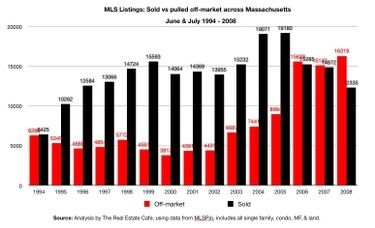 For every three listings closed in the past two months, four were pulled off the MLS statewide in Massachusetts. What do these raw numbers mean to buyers and sellers? Think of expired and canceled listings as a two-sided window of opportunity, or the real estate equivalent of a "tax-free holiday." Sellers can accept an offer about 5% less than their last asking price and still net the same profit because they are no longer obligated to pay a traditional real estate commission. Will this "commission-free holiday" be enough to motivate buyers to make offers, or will motivated sellers in Greater Boston begin making offers to well-qualified buyers as is happening in other markets? The Real Estate Cafe is advertising buyers on Zillow to make it easier for motivated sellers, particularly those who have received pre-foreclosure notices, to find them. If none of our buyers wants to purchase your home, we offer seller services "a la carte" on a fee-for-service basis. If you'd like to learn more about how to sell your home "for sale by owner," we're organizing a FSBO support group and invite you to see our "FSBOs on Steroids" presentation. If you're not interested in selling on your own, we'd also be glad to do a Listing Agent Report Card to help you select a new listing agent and try to negotiate a reduced commission. Email for more details. * Technical note: Includes all residential property classes in MLSPin: single family, multi-family, condominiums and land. Temporarily withdrawn listings available for 2008 only. 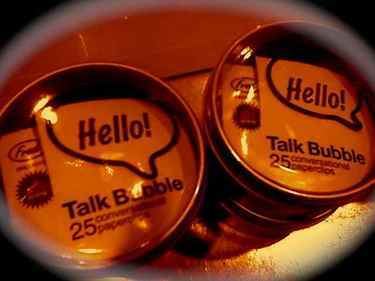 Bubble watchers in Massachusetts, time to pull out the beer googles and celebrate today's headline in the Boston Globe about the slowest pace in real estate sales since 1991 with a Bubble Hour? Sellers, does the same news have you crying in your beer, prepared to drop your price again, or tempted to drop your real estate agent (once your listing contract expires, of course) and try "for sale by owner" this Fall? If you're one of the 15,000 sellers across Massachusetts who's listing has already expired, been canceled, or temporarily withdrawn from the MLS during the past two months, The Real Estate Cafe is eager to talk to you about selling for sale by owner, or help you evaluate and select your next listing agent. We've just returned from LIVE BLOGGING the leading real estate technology conference in San Francisco, and are eager to demonstrate new money-saving tools and web sites. Do-it-yourself home buyers and sellers, would you like to see those demos in a small group or a personalized one-on-one presentation? We're eager to take advance reservations for a "FSBO Cruise" in Boston Harbor aboard the Yacht Starship: $99 includes a private, one-on-one presentation of our "FSBO on Steroids" seminar plus a lunch buffet with four-star cuisine. Sellers: we don't see the housing bubble through rose-colored glasses, so if you are intimidated by selling "for sale by owner," The Real Estate Cafe can prepare a "Listing Agent Report Card" instead and try to negotiate a reduced commission. If you pay in advance for our analysis, we'll rebate one-third of our referral fee. Part II: Million Dollar Markdowns coming to a neighborhood near you? As graphed in the blog post above, homes selling below assessed value are increasingly common, but what was newsworthy about the Boston Globe's story last week is the magnitude of how far below. 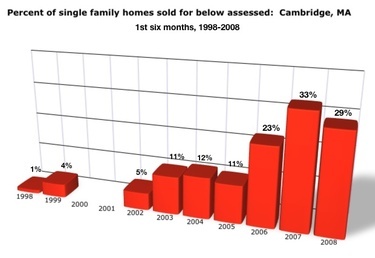 During the first six months of 2008, two homes in Cambridge sold for approximately $2 million below their original asking price. More significantly, both sold for more than $1 million below their assessed value based on our analysis of MLS data shown below. Can you guess the address of these two properties in Cambridge? Guess how many days on market? Are you seeing Million Dollar Markdowns in your local housing, elsewhere in Massachusetts, the US (or world)? As reported by the Boston Globe, The Real Estate Cafe has monitored "Million Dollar Markdowns" -- luxury homes which have sold at least $1 million below their original asking price -- on and offer during the past. 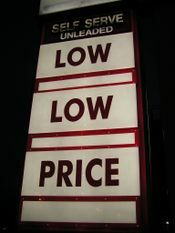 See links in blog posts from 2007: Sweetest Deals of 2006 and MIT Professor: Housing prices could decline another 20%. As McMansions become less desirable and the housing market drags the economy in recession, do you think "Million Dollar Markdowns" will become more common in your local housing market? Are owners already putting them on the market now to minimize their losses? Will the expiration of estate tax cuts enacted in 2001 cause the luxury housing market to collapse, or will Congress and the new president extend the tax cuts permanently? Carpe Diem: Hire The Real Estate Cafe to conduct original research like this, and save money on your next real estate transcation by taking advantage of these limited time offers. Poking fun at the current cover story in Barron's Magazine, "Bottom's Up: This Real-Estate Rout May Be Short-Lived," Bill Apgar of the Harvard's Joint Center for Housing predicted, "There will be 10 articles a month [like that] until we hit the bottom, and the last one will be right." When will it be the right time to buy? That's what all The Real Estate Cafe's clients are asking. Some of their house hunts began two years before the market peaked, and are now into the third year of falling prices. Nearly 50 of our active buyers have looked at more than 1,000 MLS page views. Twenty-one have looked at more than 1,000 MLS pages in the past year alone, but only four of them have paid any fees to The Real Estate Cafe. Unlike listing agencies who represent sellers and charge 5% to 6% commissions, or dot.com start-ups that are venture funded, The Real Estate Cafe pays it's overhead almost entirely from hourly consulting fees paid by clients. 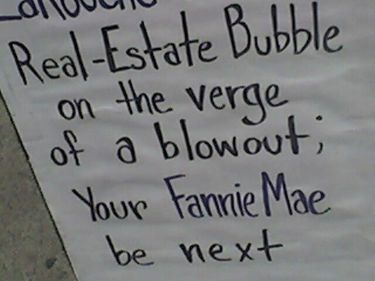 With so many buyer waiting out the housing bubble, those fees have slowed to a trickle. Now, after 13 years, we need your financial support. We constantly look for ways to help you save money, by learning more about the housing bubble and the latest technologies. Today, for example, we attended a seminar on State of the Nation's Housing and a Foreclosure Prevention Workshop. This weekend, we'll participate in PodCampBoston (for the third time.) Next week, we'd like to participate in two real estate technology conferences in San Francisco: REBarCamp and Real Estate Connect. Repeat the Fare Sale we used successfully in 2007 to get two to three clients to prepay $500 to $1,000 in exchange for 1 to 3 hours additional work for FREE. Email for details. Introduce an optional monthly subscription fee. If you agree to pay $250 per month, we’ll slash our our consulting fees, normally $100 to $150 per hour, to $50 per hour for five hours—that’s a savings of 50% to nearly 70%! Like frequent flier miles, hours you prepay accumulate and you can use them any time you like. Email for details. Host a technology debriefing after our trip to San Francisco to share best money-saving tools and tips from the two real estate technology conferences. We would like to host two events, one for buyers and the other for FSBOs ("for sale by owner") within 10 days of the conferences at TogetherInMotion, One Broadway, Arlington, MA. $49 per household, per event. Email for details. We encourage buyers to wait for the housing prices to correct, but don't wait to take advantage of these savings opportunities. Once we raise $2,000 to $3,000, they'll be gone. Part I: On Sunday, July 13, 2008, the Boston Globe published a lead story in City Weekly entitled, In real estate sales, not all cities are equal. Two years ago today, our first user added their own examples of falling house prices to our interactive real estate bubble map. Inman News also featured our map in a mini-series on Real Estate 2.0 innovations, and we need your financial support to attend their real estate technology conference next week to continue our 15 year tradition of helping real estate consumers save money. Preview of Part II: Homes selling below assessed value has clearly become more commonplace, but what was newsworthy about the Globe's recent story is the magnitude of how far below assessed value: During the first six months of 2008, two homes in Cambridge sold for approximately $2 million below their original asking price; and more significantly, more than $1 million below their assessed value (based on our analysis of MLS data. Watch for more details this week.